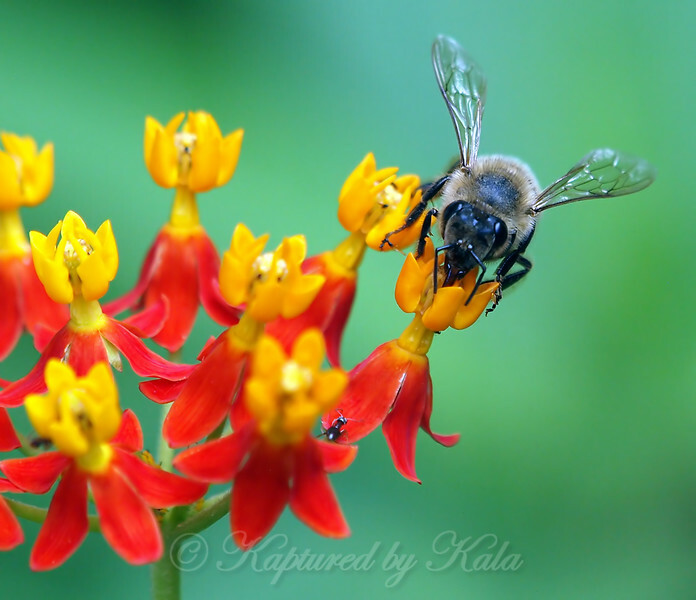 There was a little honey bee visiting my milkweed right outside my window. I didn't know about the ant until I had the photo on my PC. One of those fun little photography surprises.